Styrofoam cake dummies are available and quoted individually when requested. Elaborate designs will be quoted by difficulty/time of cake décor. Information Collected Automatically - Some information is collected from you automatically when you view Susie's Cakes pages and download information. This may include your Internet Protocol address assigned by your Internet Service Provider, domain name and the type of browser and operating system you used, the date and time you accessed Susie's Cakes’s site, the pages you requested and visited, and the site you linked from to reach Susie's Cakes uses this type of information to statistically measure site traffic and to improve the web site. The information is not reviewed on an individual basis but is aggregated with other users for comparison purposes. Susie's Cakes uses the information you voluntarily provide to tailor our site to your needs and preferences and to provide the on-line services you are requesting. The type of information we collect will vary with the service being sought and may include your name, address, phone number, and e-mail address. If you simply wish to view pages on Susie's Cakes’s site, or conduct transactions, you do not need to personalize the site by registering for an account. Susie's Cakes may amend this policy from time to time. 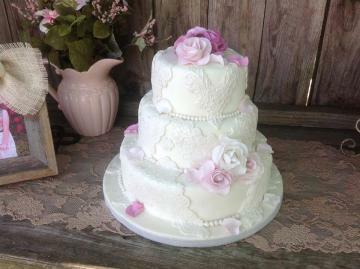 Susie's Cakes will prominently display on this website any substantial change in the way we use your personal information.